RELATED TO STRUCTURES AND SYSTEMS. Water damage whether caused by visible leaks, hidden leaks, or a faulty water heater  can cause costly damage to the structure and building contents. ISE investigates cause of flooding due to failure of water heaters, freeze ups in radiators, or failures throughout a wide range of plumbing system components. Examination of plumbing fittings like this one may show manufacturing flaws that contributed to its failure. 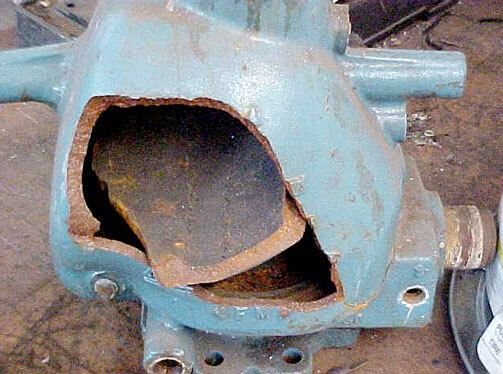 Installation of fittings can impart stresses to them, often resulting in failure. Site examination and evaluation is important in this type of investigation. 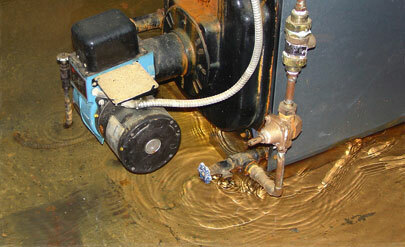 Hot water heaters develop leaks that can cause costly flood damage. 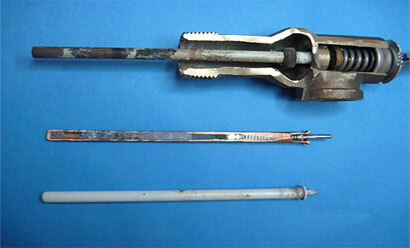 This can be a result of age, a manufacturing defect, improper service, owner neglect, or any number of other causes. Our evaluations of heating systems and hot water heaters often reveal other previously unknown problems. 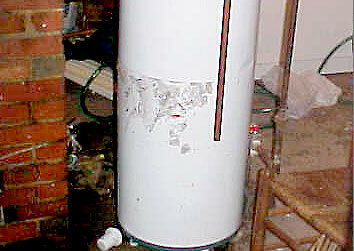 Systems and plumbing components improperly located in cold spaces are susceptible to freezing and can shatter, as seen in this example. The result is always the same... costly flooding and expensive replacement bills.